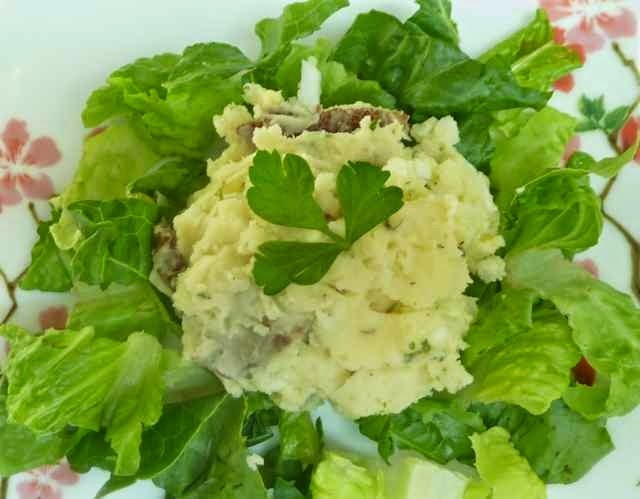 Gluten Free Baking Bear: MY FAMOUS POTATO SALAD - GLUTEN FREE OF COURSE! Summer has ended and it is getting a bit colder already. Frankly, I feel a bit cheated out of a real summer this year. Usually, here in New Jersey, it is very hot and humid especially in August. This year it was on the cooler side, only a few days of those dog days of summer where it is over 90 degrees and the humidity is almost unbearable, and that was in September...go figure. Not that I should be complaining, because really what is so great about 100% humidity when it is not even raining? 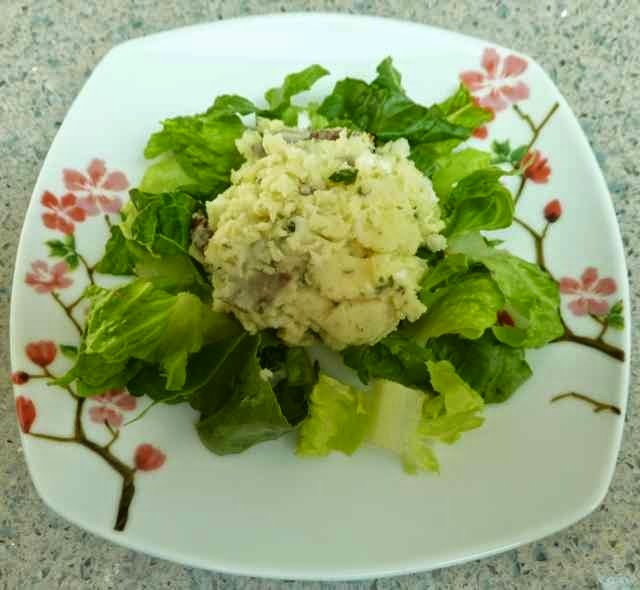 My wife has requested that I make my potato salad once more before it gets really cold, so I decided to make a post of this recipe. 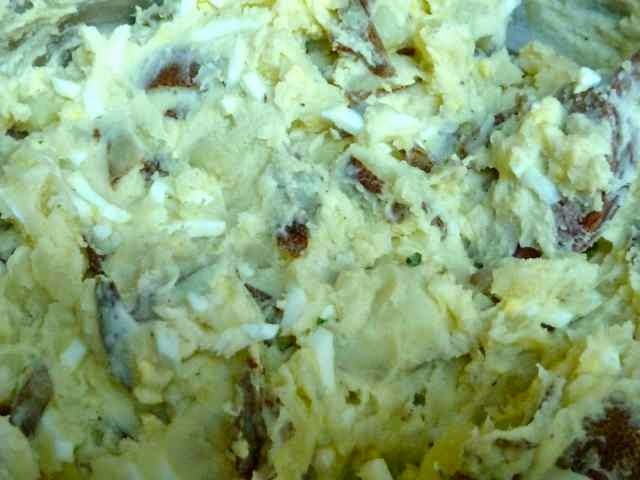 This potato salad is very flavorful and so delicious. There is a secret to the depth of flavor. While the potatoes are still hot I season them with oil, lemon juice, finely chopped onions, salt and pepper. By the time the potatoes cool down enough to add mayonnaise the onions have cooked a bit so there is no strong raw onion taste. The potatoes are also infused with the flavor of onion, lemon and oil. Even without the mayo the potatoes taste really good. 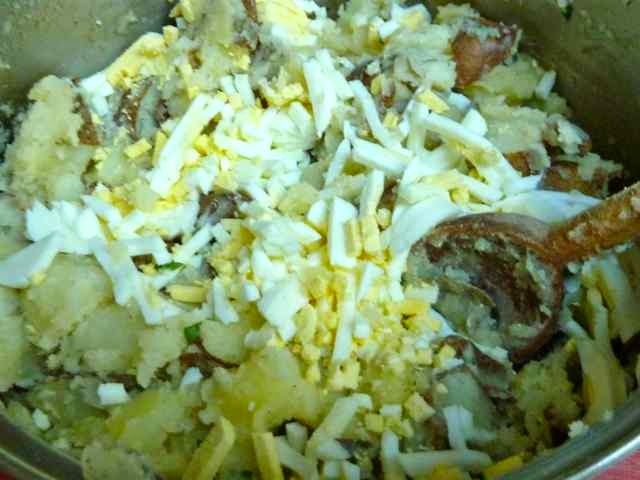 Add the mayo and chopped hard boiled eggs and you have a potato salad that stands out. When baking, measuring needs to be exact. With cooking, not so much. Usually I go by, ‘this looks good”, “that should be enough” and then I taste and adjust the seasoning. This time when I made the potato salad I actually weighed and measured what “looks like enough” and wrote it down so that anyone could replicate the recipe, then I lost my notes. So here is the recipe for my famous potato salad as well as I can remember the measurements. Naturally gluten free. Wash and cut the potatoes into bite sized pieces about 1” long and wide. 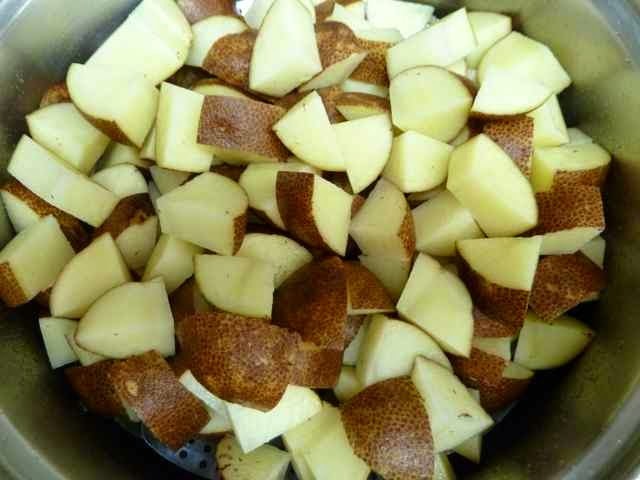 Place the potatoes into a steamer basket and steam over boiling water until fork tender and taste fully cooked when tested. Raw potatoes in a steamer. 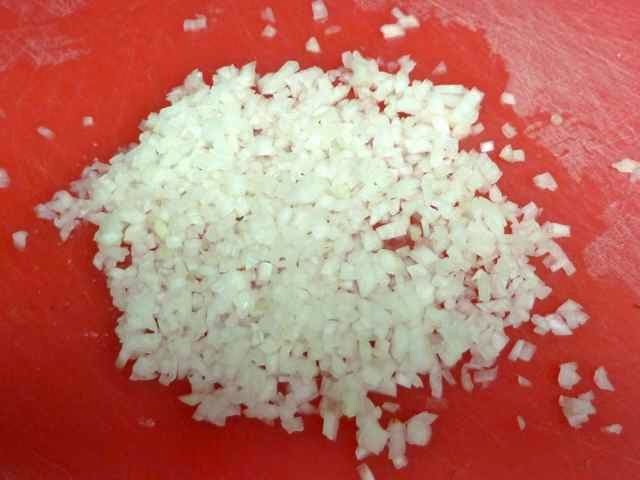 While the potatoes are steaming chop the onions into very fine pieces (1/8-1/16 of in inch wide) and set aside. Juice a fresh lemon and this should yield about 1 Tbs. of fresh lemon juice. If it is a little less than a Tbs. that is fine, do not juice another lemon to make up a small amount of juice. Set aside. Chop the fresh parsley. Set aside. When the potatoes are fully cooked drain the water from the pot and then transfer the potatoes from the steamer basket into the empty pot. Pour the oil, lemon juice, parsley and chopped onion over the hot potatoes. Add salt and pepper to taste. Use a large spoon to gently mix the ingredients together. Don’t mix too vigorously or you will have mashed potato salad. 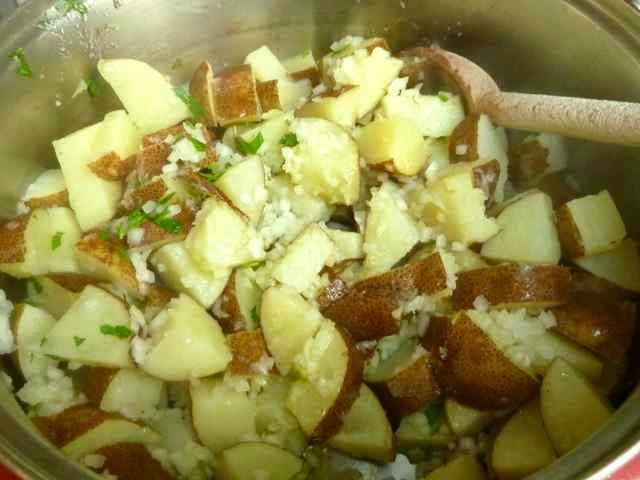 Onions, oil, lemon juice, parsley and seasoning put on hot potatoes. After the oil, lemon juice and seasonings were mixed in. When the potatoes cool to room temperature add the mayonnaise and chopped eggs and mix in. Adjust the salt and pepper to taste. 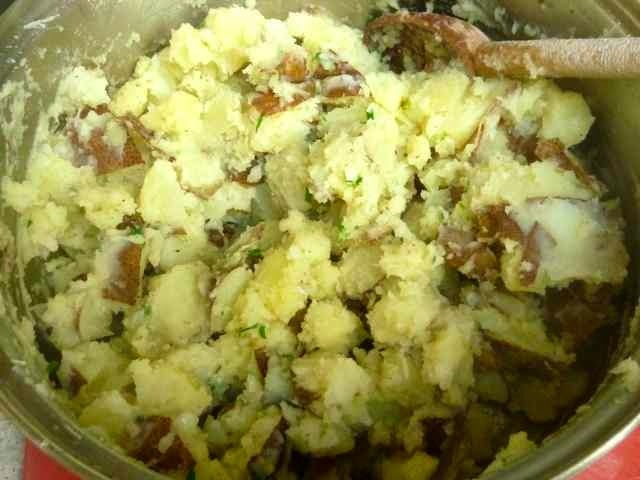 Potato salad after the eggs and mayonnaise are mixed in. Cool completely in the fridge or you can serve it warm.